It might have started as an accident of geography, but over the last fifteen years, Charlie Turnbull’s relationship with Dorset has blossomed into an abiding passion. Just as he has taken its many moods to his heart, so too is Dorset assimilating the energy, expertise and barely bridled enthusiasm of this most irrepressible of settlers. 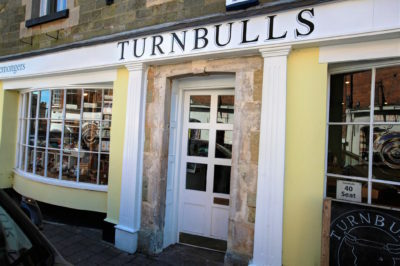 Not only has Turnbull’s deli and bistro become something of a foodie haven in Shaftesbury, Charlie has had a hand in the town’s Food and Drink Festival, has helped instigate the Gold Hill Cheese Run – a reason-defying exercise in strength and endurance that involves hefting 45- to 55-pound cheese truckles up the famous cobbled landmark – and was on the team that brought the winter Snowdrop Festival to life. At the other end of the spectrum are the mass-produced cheeses that ensure eighty per cent of cheese sold in this country is discounted in one way or another. It’s a statistic that would give most epicures heartburn, but not Charlie. 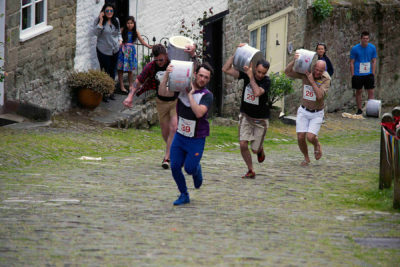 As far as he’s concerned, the more people eating cheese the better, because a greater number of them will find themselves exploring the wider of world of cheese – today’s consumer of industrial ‘mousetrap’ is tomorrow’s turophile. 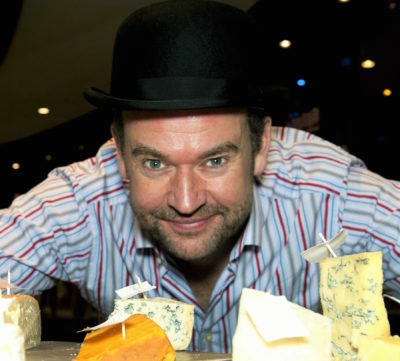 The same reasoning has seen Charlie, through his involvement on the board of the Guild of Fine Food, get behind the not-for-profit Academy of Cheese and Britain’s first professional cheese qualification. Although Charlie’s ardour for cheese has long since melted the border with obsession, there are things in his life that are more important than cheese – albeit they’re all improved by a carefully compiled cheeseboard… providing yet another parallel for the incorrigible Mr Turnbull.